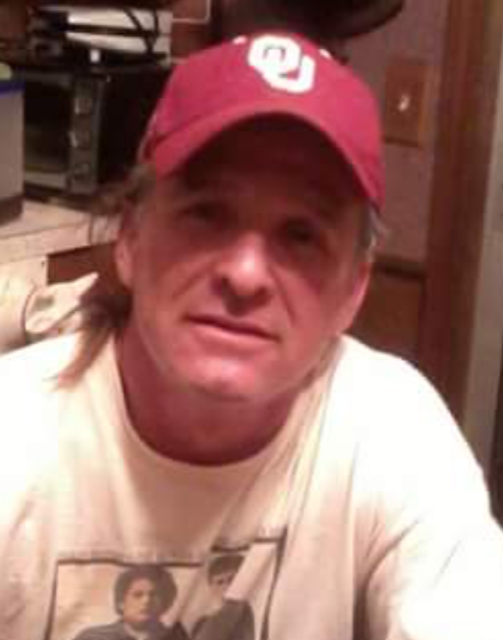 Kelley Bryan Speers, Shawnee area resident, died August 15, 2018 at the age of 54. Kelley was born June 15, 1964 and grew up in the Shawnee area. A lover of music, he worked at Bob’s Stereo as a teen before becoming stage manager for Vince Vance and the Valiants. Later he worked in the construction field. A plumber by trade, he was highly skilled in all phases of construction, completing numerous remodeling jobs start to finish, including the home he shared with his wife. Kelley had a great sense of humor and loved to make people laugh with a good joke or physical comedy (guitar jump). He tried to live every day to the fullest, never wanting to miss a thing. He was much loved and will be missed by all who knew him. Kelley was preceded in death by his father, Ted Speers; brothers, Chris Speers and Stephen Speers and grandson, Tyler Speers. He is survived by his wife, Lisa Greer Speers of Shawnee; mother, Mary Nell Speers of Shawnee; children, Stormy Speers of Shawnee, Amy Speers of OKC, Katelin Speers of Shawnee, Kelly (Coco) Rodriguez of Kerman, CA, Leslie and Shannon Griffin of Holdenville and son, Bryan Jones of Tecumseh; 16 grandchildren; brother, Ted Speers of OKC; sisters, Carrie Speers-Stokes and Lori Speers-Souders of Shawnee, Brenda Marsh of Tecumseh and numerous extended family. Services will be held on Saturday, August 25th at 3:00 PM at Sharon Baptist Church in Shawnee. Arrangements are under the direction of OK Cremation and Funeral Home of Oklahoma City.